I am always getting asked "how do I make my bum or my hipslook smaller?, "how can I disguise my stomach?". Learning about your body shape and how to dress it will set you free from the daily grind of thinking "does this suit me?" "does this make me looker bigger than I am?". Sounds good right! Taking about two hours, the client has various measurements taken by our trained Image Consultant and Stylist, and from that an individual computer based program is created. This program uses those measurements to make a profile of the client and determines key factors including horizontal and vertical body type, bone structure and other prominent features. The client is then given a comprehensive guide with recommendations of what styles suit their body shape from top to toe. It is so thorough it even has a guide to what length earrings you should wear based on your face shape and neck length! When you know what suits your body shape, you will be able to shop with ease and confidence, knowing you are making the right choice. 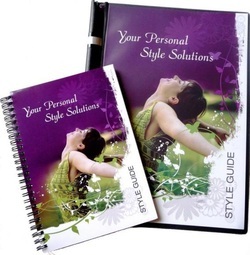 For more information on how great this program is go to http://www.totalimagesolutions.myprivatestylist.com/ .